This ad was posted on January 24th. This ad is now closed. 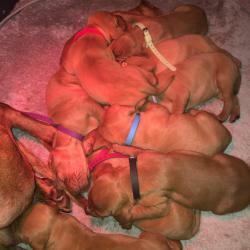 High quality litter of hungarian Vizslas Born 18/02/19. Ruby gave birth to big litter of 10 strong healthy puppies, they are doing great and ruby is doing fantastic job as mum. Due to big litter have some girls available. Both parents with excellent hip score. (Hip displasia). many champions in pedigree. Will be looking for active families, hunting homes or show homes. 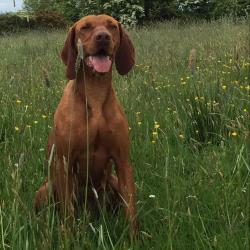 Vizslas are an energetic dog who need lot of exercise. Puppies should be ready for their new forever homes mid to late April. Any questions or queries on this wonderful breed don’t hesitate to get in touch or arrange a call to our home to meet our dogs. Note! This ad is now closed. 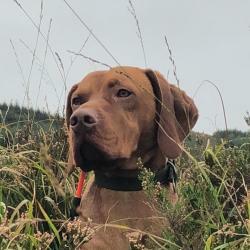 See other Vizslas for sale. 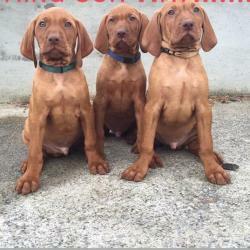 See other Vizslas for sale.